Hand held magnifiers can be used for spot reading such as reading instructions, labels, price tags, a bill or a menu. Not intended for long term reading, keep one of these handy in different rooms of the house. 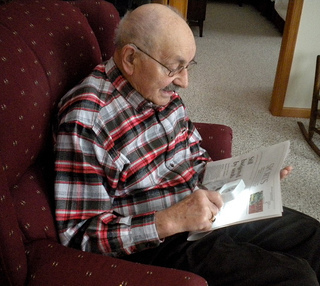 A hand held magnifying glass is a convenient and inexpensive visual aid for those with macular degeneration. 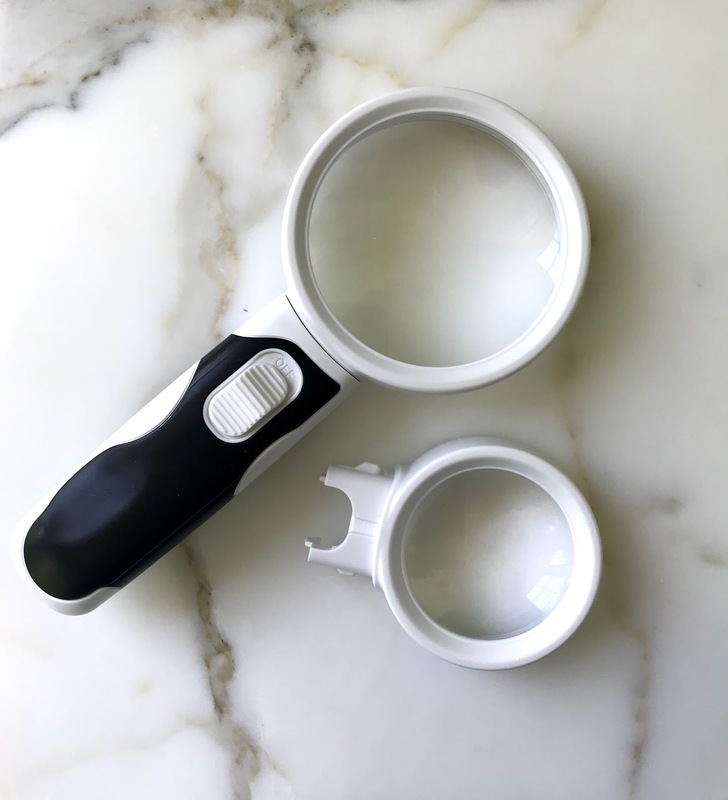 Just like I keep inexpensive reading glasses in different rooms of the house, have several hand held magnifiers conveniently available in different rooms - like the kitchen, the garage, the bathroom, and the bedroom. Keep a lighted magnifying glass close at hand to help reduce frustration and to make it easier to see and read. 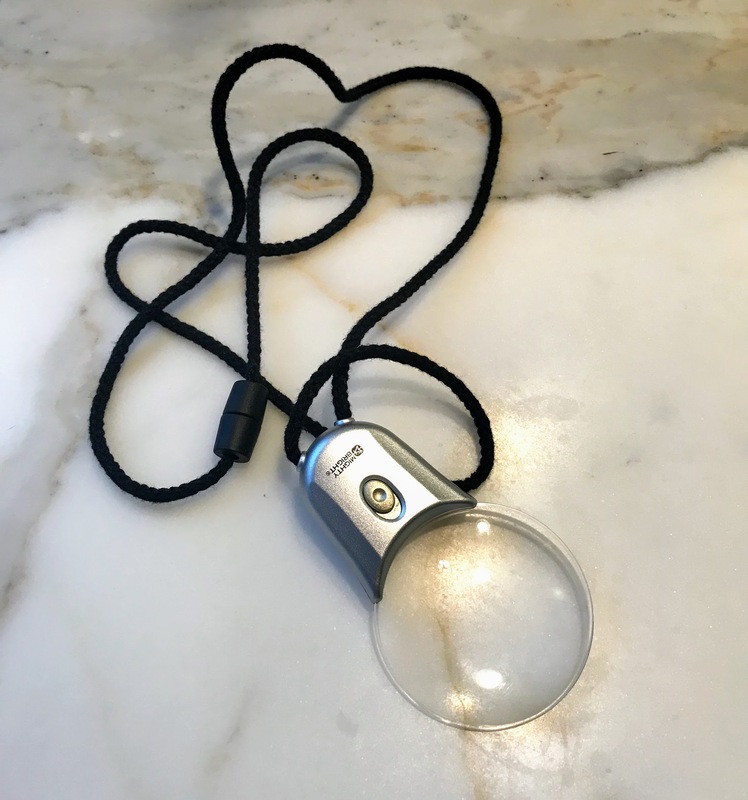 What should you look when selecting a handheld magnifying glass and how do you know which one to choose? What task will you need it for? What magnification power do you need? What size lens do you want? 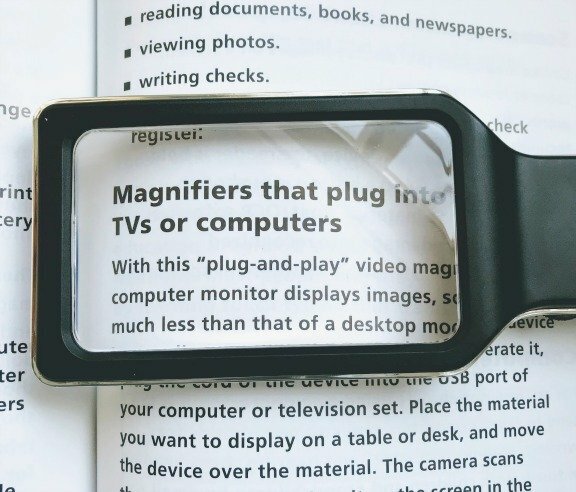 A hand held magnifier is good for spot reading - like checking the scores on the sports page, reading an electric bill, or following the instructions of a recipe. These magnifiers come in different shapes - round or rectangular and lighted or not lighted. 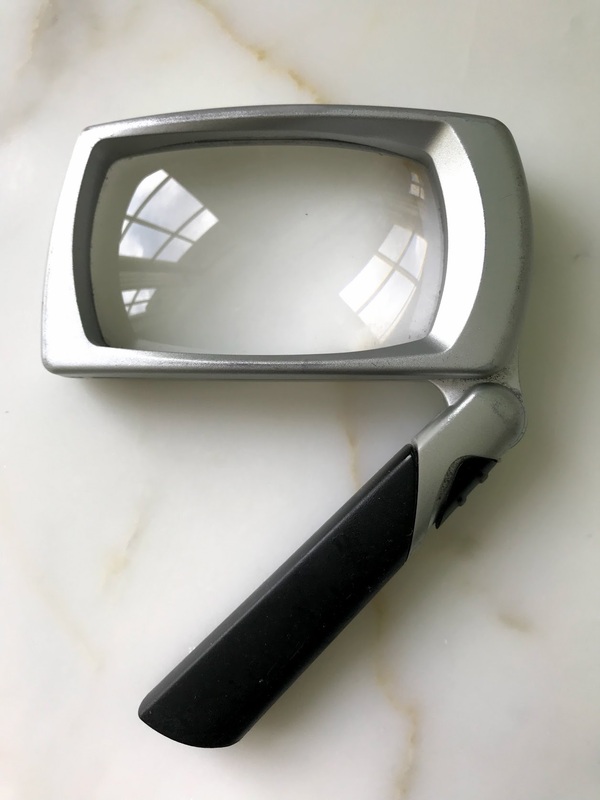 Recently, while visiting my father-in-law who has wet macular degeneration I was pleased to see that he had several handheld magnifiers placed in different rooms of the house. Without having to search for a magnifier he can quickly grab one to read a label, check a bill, or identify a prescription bottle. Although his several pocket magnifiers come in different sizes and shapes they all had one thing in common - illumination. 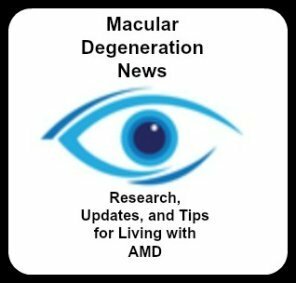 As ones macular degeneration progresses the need for more light becomes more pronounced. The more light there is, the less need for a higher power magnifier. 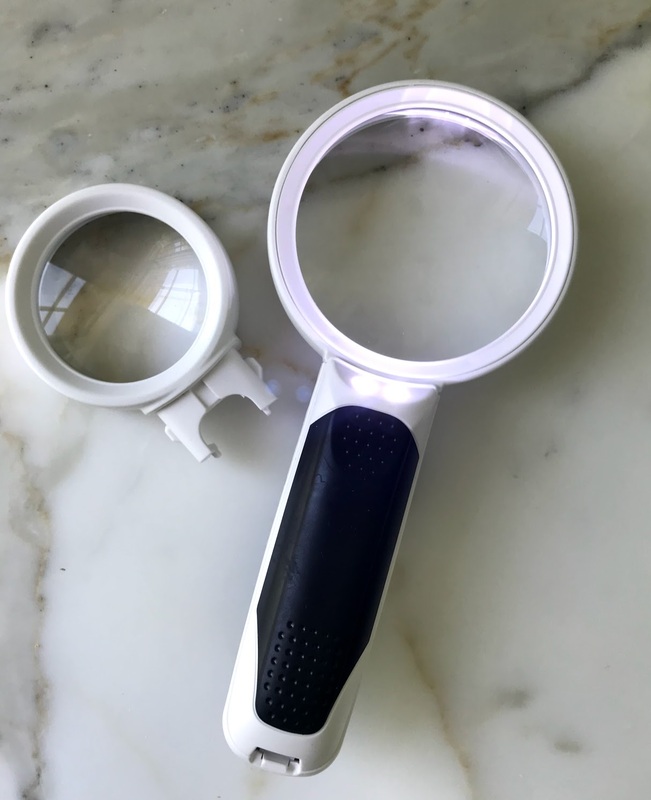 This hand held magnifying glass comes with with two interchangeable optical grade lenses - the larger is 5x magnification and the smaller lens 10x magnification. Two LED lights provide illumination to help you see in any lighting conditions. The easy on/off switch is on the handle. This magnifier made by Mighty Bright uses LED lights and is 5" round. It is one of the largest round magnifiers for a wide viewing area. The crystal clear optical grade lens goes all the way to the edge so there is no blurriness. It provides 2x magnification and 6x bifocal. The light switch is easy to access on the handle. It uses a single AAA battery for easy battery replacement. An LED magnifier provides some of the best light for magnifiers. LEDs (Light Emitting Diodes) are small, solid light bulbs which are extremely energy-efficient. They provide a very bright light for increased visibility and are known for their longevity and reliability. 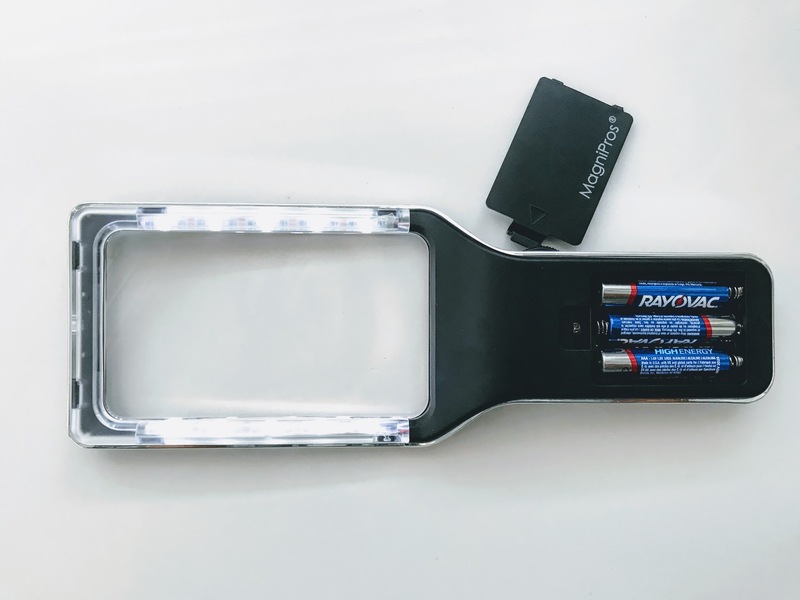 A folding light magnifier can be carried in one's pocket or purse. The handle easily folds up so that it is compact and easy to carry with you. What my father-in-law liked best about this lighted magnifier is that it uses a AAA battery. The battery is in the handle of the magnifier. Not only are these batteries easy to find, the battery is easy for him to replace. This large magnifying glass measures 4.35" X 2.5". There are high quality acrylic lenses and glass lenses. The cheap acrylic lenses often have some distortion and are not real clear, so you will need to pay more for a high quality aspheric lens. Another way to always have a lighted magnifier handy is to wear one around your neck. This magnifying glass necklace by Mighty Bright works great for dark corners, dark restaurants or dark drawers. Made of optical quality lens, the lens measures 2' in diameter with 3X magnification. A single bright LED light provides ample light for better viewing.